"Where The Little Ones Are Loved"
I breed and sell AKC Registered Toy Poodles at retail as working dogs but may occasionally raise a dog that lacks the characteristics that would enable it to be sold or used for its intended working purpose of breeding to preserve the bloodlines and will be sold as pet only. I am state licensed Hobby Show/ Registered. 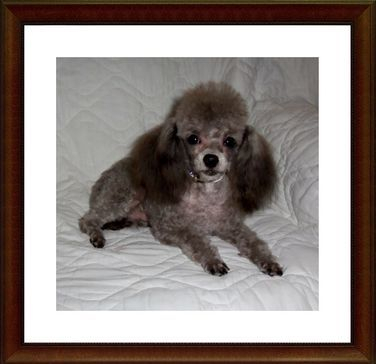 My toy poodles are well socialized and healthy home raised puppies. They are vet examined and have all of their vaccinations. They also come with a health guarantee. My puppies are bred for health, quality, and temperament to produce the best breed stock from carefully selected parents. I am registered with the American Kennel Club and also a proud member of the Missouri Pet Breeders Association. I am licensed with the Missouri Department of Agriculture. I am also inspected by the American Kennel Club. I am located in Brighton, Missouri. For more information please call 417-689-0120 or email [email protected] to see what puppies that I have available.